Well today was a very rare day indeed not only was i fishing on a Saturday but i was also on Partridge lakes which was somewhere that i hadn’t visited in over two months and i was really looking forward to it as i can not remember the last time i had caught any f1s as i had spent most of the so-called winter fishing for silvers , the weather leading up to the match had been pretty reasonable for the time of year with it being eight degrees at night and mid double figures during the day although we still had some breezy conditions plus lots of rain to be honest it felt more like the start of autumn rather than the middle of winter . On arrival at the venue there was another good turnout of over seventy anglers meaning coveys 1 to 5 would be in the draw bag as i began queuing up with all the usual faces plus a smattering of your pro anglers and as i waited in line i noticed that all the framing weights on the result board had come from pegs out of the cold wind which was no doubt down to the fact that you could present a bait accurately across to the far-bank , when it came for my turn to pick out i pulled peg 110 on covey five which was only a couple away from my last visit in an area that isn’t the best and ever since i had got my head round f1 fishing my golden arm has let me down big time . Three foot , this would be for both slopes i was very dubious if i would be able to use it across but i plumbed it up anyway just incase my float was a slightly heavier 4×14 malman roob shotting pattern was a spread bulk , with 014 garbo main line and a short four-inch 010 garbo hook length this had a size 18 lwg hook attached . 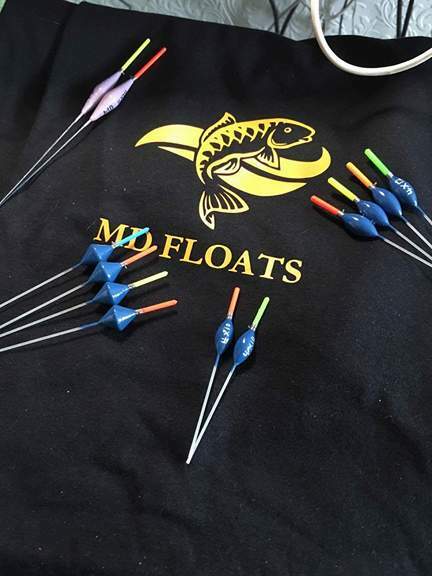 Four foot rig , this was for the bottom of both slopes incase the f1s could be in slightly deeper water my float was a slightly heavier 4×14 malman roob shotting pattern was a spread bulk , with 014 garbo main line and a short four-inch 010 garbo hook length this had a size 18 lwg hook attached . Channel swim at six-foot i felt that in the conditions this would be my main line of attack and i used a 4×14 rw maggie float which had a bulk + two droppers shotting pattern , i used 014 garbo main line and a short six inch 010 garbo hook length this had a size 18 lwg hook attached . 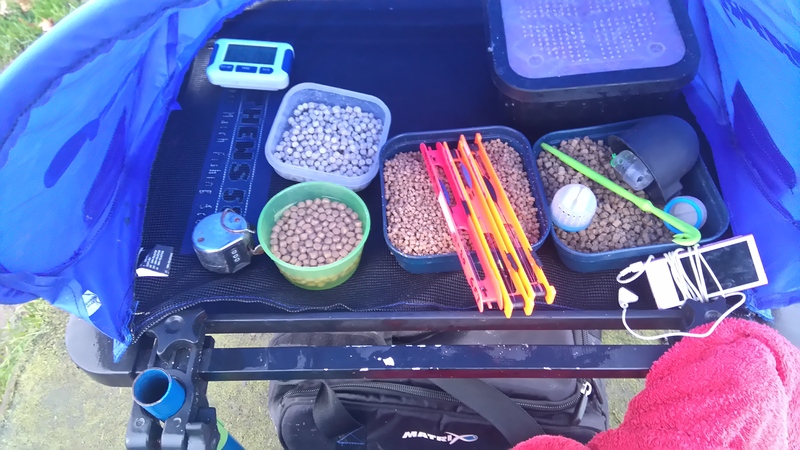 When the all in sounded i fed a small cupping kit full of maggots on to my channel swim which i positioned towards my right hand side of my peg as it allowed me to put my back to the wind this would also give me better control over the rig , i then began my match fishing at five meters towards peg 109 at four-foot deep dragging my rig slightly up the slope and i tapped in a few micros every five minutes being careful not to put a lot in until i knew how they would respond and unfortunately they didn’t because i was still bite less after forty minutes just like the anglers either side of me . I then had to resort to struggling with the wind across to the far-bank but my rig was pulling through like a train which wasn’t ideal when you’re using pellets or any bait for that matter and i ended up putting my four-foot rig a lot shallower enabling me to have a longer lash this helped matters but i still couldn’t attract any indications . 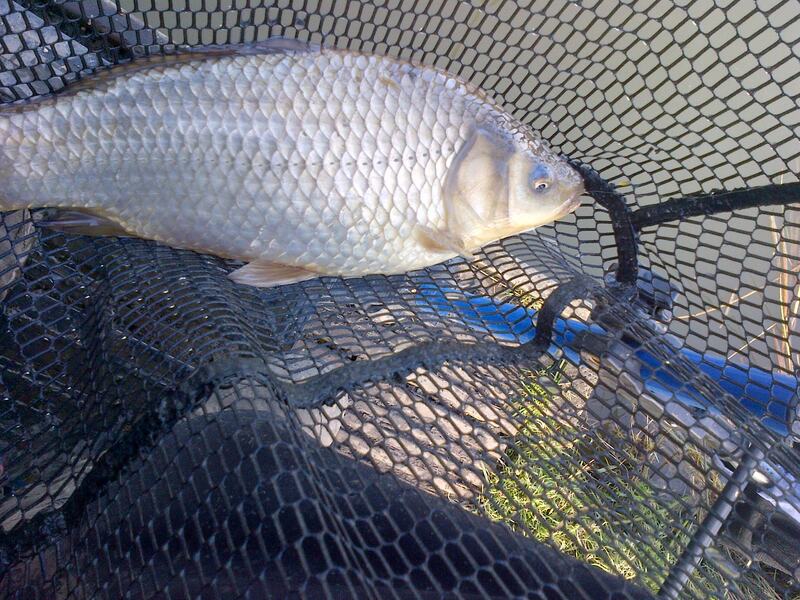 I had no other option other than to try my channel swim a lot earlier than i planned it wasn’t exactly hectic but i did at last begin picking up a few fish i had a good thirty minute spell where i caught half a dozen f1s but then i managed to lose a decent carp which broke my hook length when it made a dart for freedom under the keep net , then i lost another f1 straight after when the hook pulled at the net this kind of disrupted my swim because i couldn’t get another bite after that so i set up another swim to the left side of my peg but chose to use pellets incase the fish responded better to that bait but this failed to produce a single indication and i decided to concentrate on my maggot swim for the rest of the match with the regular feeding i soon got them lined up again i even started getting liners which was strange in the middle of december . I really should have got up off my box and set up an on the drop rig but i made do with altering my deck rig so it had a slower fall in the final third of the water this got me a few more f1s and even a couple of big ide just as was thinking i might be able to put a run of fish together to the all out the fish vanished which was a bit puzzling and I’m still not to sure what i did wrong , i thought that it might benefit from a rest so i had another look down my right hand slope line with pellets it took me awhile to get my rig to settle in the correct area but when i did manage it i had another run of f1s right up to the final whistle although i felt it was to little too late although i didn’t really have a clue how they had got on further up the straight . 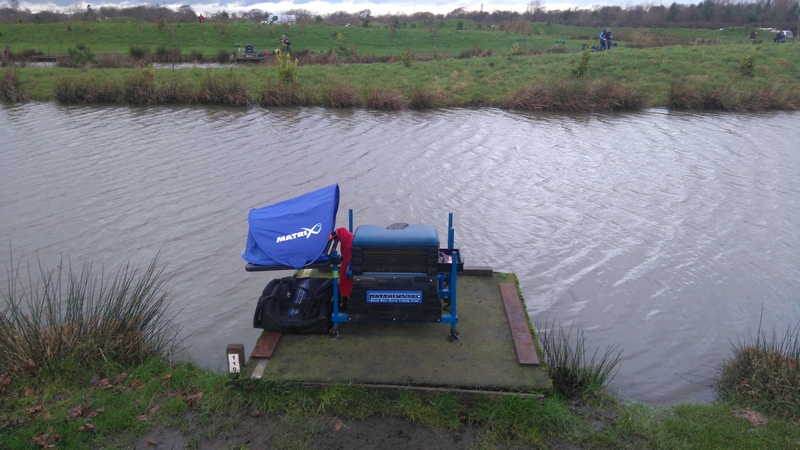 I was the first to weigh in for my section and my 17 f1s plus a few ide went just over 17lb the guys either side of me didn’t bother the scales man but the better pegs on the bend had caught a lot more 114 had 24lb and 115 won the section with 29lb but strangely 117 didn’t weigh in , overall it was a rather confusing match for me and i would have probably benefited from changing lines quicker but I’m not to sure where i could have gone apart from further down my right hand margin . 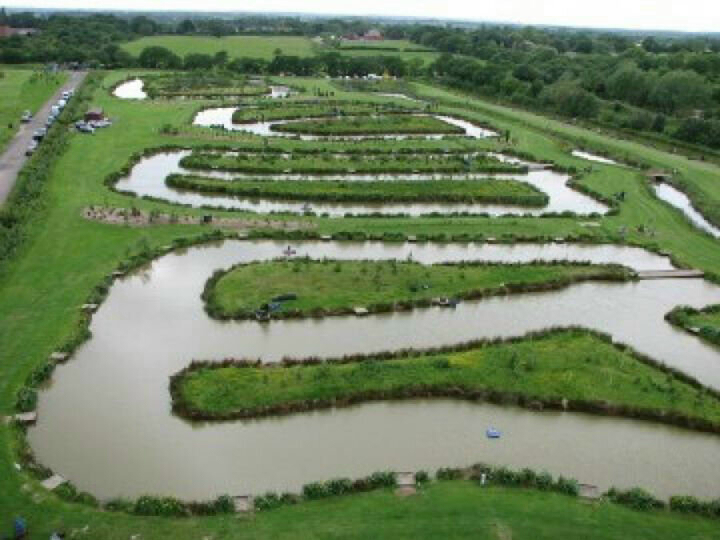 Tomorrow im back at old hough for round five of the winter league this time were back on lucky dip + prospect and i just hope this wind drops which should enable me to fish across were the bigger stamp of fish live other wise it will be a scratching for bits match not really what i want to be doing . 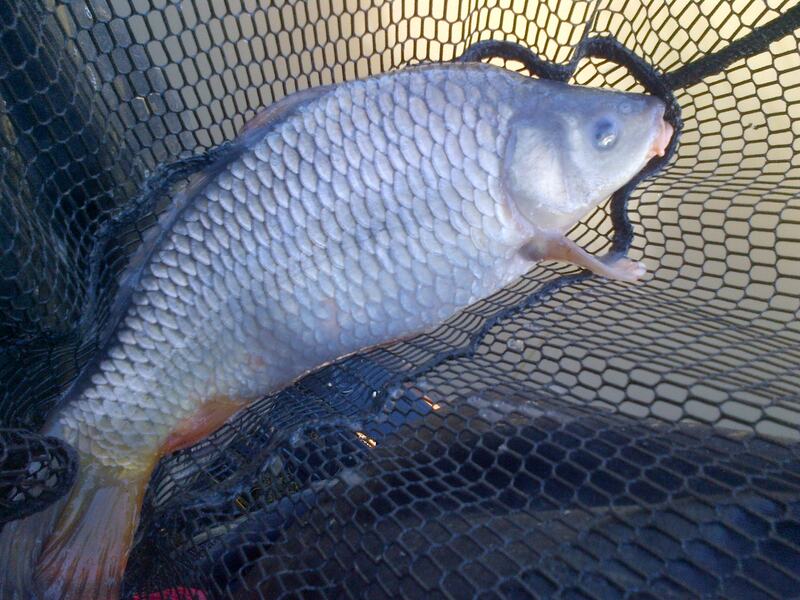 This entry was posted in covey five, Partridge lakes, PARTRIDGE LAKES COVEY and tagged Carp, Coarse fishing, covey, f1 fishing, Fishing bait, fishing shallow, gamma pellet hook, garbolino line, Lake, Maggot, malman roob, matrix bagger hook, matthews580, Mirror carp, Old hough fishery, orange matrix elastic, Outdoors, Partridge lakes, Recreation, white expanders. Bookmark the permalink. A poor draw Gary, even more so with 114-117 having the calmer water. I haven’t been for 6 weeks! Hoping to get up there a few times over the Xmas Hols. Yeah had two poor draws on there recently , you not fishing the big Xmas match at partridge the day after boxing day?